Most user interfaces have multiple interpretations of a given gesture. For example the usage of a console application, at one moment, tapping “Return” on a keyboard inserts a return character into the text, whereas at another time, tapping Return causes the text typed immediately prior to that tap to be executed as a command. Modes manifest how an interface responds to gestures. For any given gesture, the interface is in a particular mode if the interpretation of that gesture is constant. When that gesture has a different interpretation, the interface is in a different mode. 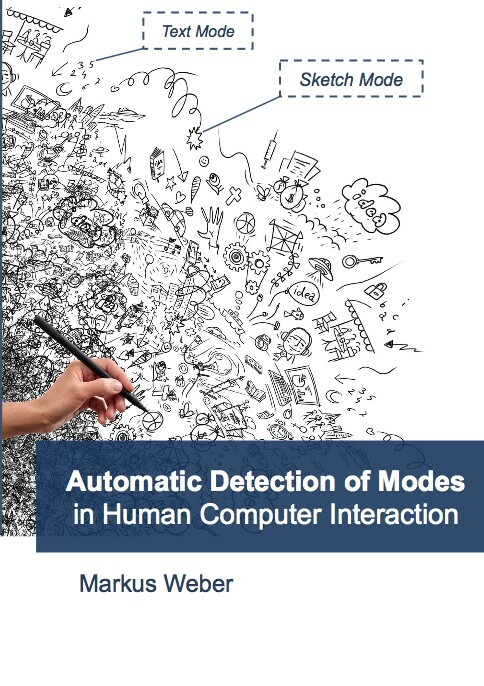 This thesis addresses the issue of mode detection for various different input modalities. An automatic detection of the current mode will help to improve the usability in several applications. These techniques will help to improve the usability in applications, based on this kind of input methods.